“I’m happy to go again to Australia, where I’ll find the necessary conditions for the season’s debut. The courses are suitable for my characteristics, I’ll try to achieve important results." The Santos Tour Down Under will see the debut of the UAE Abu Dhabi team on the start line, as the first race of the UCI WorldTour calendar for 2017. Race Director Mike Turtur said that Team UAE Abu Dhabi has set ambitious goals for the race with a team lineup that they believe will be competitive across all six stages. “Ben Swift, Marko Kump, Louis Meintjes, Manuele Mori and Diego Ulissi all have ridden the Santos Tour Down Under previously. It is always good to welcome back past stage winners and those who have finished well in the overall General Classification,” said Mike Turtur. Ben Swift is looking forward to returning to compete at the TDU, having claimed two stage victories at the 2011 edition of the race, finishing third in the overall General Classification that year. “I’m really excited to be heading back to the Santos Tour Down Under. I have tasted success there before and it is always a nice place to start the season,” said Ben Swift. Diego Ulissi returns to the TDU with a taste for glory after taking victory on Stage 2 in 2014, the same year finishing third in the General Classification. “I’m happy to go again to Australia, where I’ll find the necessary conditions for the season’s debut. 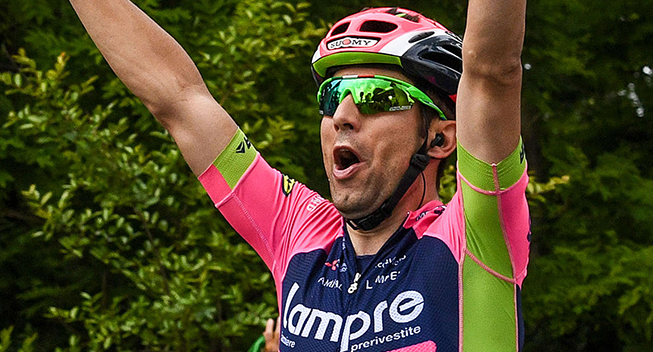 The courses are suitable for my characteristics, I’ll try to achieve important results and I’ll work also in order to improve my shape,” said Diego Ulissi. The UAE Abu Dhabi team rider roster for the 2017 Santos Tour Down Under will be led by sport director Marco Marzano (Italy) and includes riders Ben Swift (Great Britain), Marco Marcato (Italy), Marko Kump (Slovenia), Vegard Laengen (Norway), Louis Meintjes (South Africa), Manuele Mori (Italy) and Diego Ulissi (Italy).